When you are making arrangements for mortgage financing, it can, no doubt, be overwhelming. There are a lot of costs to keep straight, which makes it very easy to brush aside the idea of purchasing mortgage protection insurance. Similar to when you’re getting a new cell phone, the idea of an additional small payment each month can seem unnecessary; what are the chances that you would actually drop your cell phone in the toilet, anyways? A lot of clients hold life and/or disability insurance policies with their insurance provider, or we often hear that people “have insurance through work”. Most work-place insurance policies are based on income replacement – usually 1.5-2 times your annual salary, and usually you can choose to up that to 3 times, depending on the premium that you are comfortable paying. Manulife’s Mortgage Protection Plan (MPP) is a different kind of insurance that might make sense for your needs. Sure. 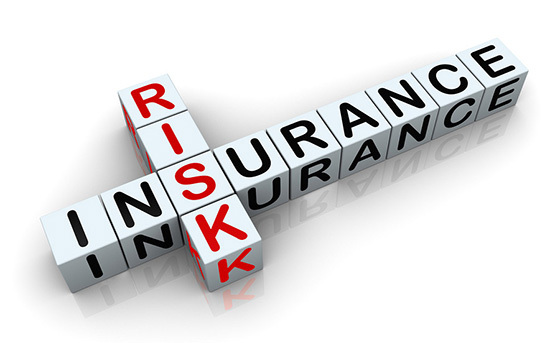 This sounds like a lot of money if something were to happen to you – most Canadians average $160,000 in insurance coverage, but that can get eaten up rather quickly – especially when the average Canadian mortgage is $435,000. Now, imagine that you make $75,000/year. At 2x your salary, that would leave $150,000 to your loved ones. That $150,000 needs to be used for your funeral costs, averaging $6,000 (canadianfunerals.com), probate fees for your estate, unsecured debt (credit cards, lines of credit, loans, vehicles etc. ), and of course, your remaining mortgage balance – and this doesn’t take into account setting money aside for your children and loved ones for anticipated expenses (eg. weddings, tuition) and unexpected costs. In this scenario, what would happen if your mortgage balance was $140,000? That would only leave $10,000 to pay for your funeral, and other debts. That’s it, that’s all. MPP is a different type of insurance – it is a debt replacement product. In the event that a claim is made, Manulife pays your mortgage lender directly. In this case, with MPP, the $140,000 owing on your mortgage would be paid off, leaving the $150,000 from your employer policy to cover any debts and loans, and maybe a college fund or two. Above all, MPP offers you peace of mind – in the event that something should happen to you, your spouse, and family would be able to stay in your home, and avoid having to refinance, or move all together. Now let’s look at the disability side of things – did you know that 45% of foreclosures are due to an injury or disability in the household? As a debt replacement product, MPP would make your mortgage payments directly to your mortgage lender while you are unable to work. Since it pays your lender directly, these benefits do not have to be reported as income, and are therefore, not taxable. With your mortgage payment taken care of, you can then use any government/employer payments for your regular expenses, and life can carry on as normal as possible – something that you and your family will really value. Disability coverage through MPP is stand-alone from their life insurance option, meaning you don’t have to purchase both. Being a debt-replacement product, premiums are calculated on your mortgage amount and health – not your salary. This can make MPP a stand out product for anyone who is self-employed. Another stand-out point about MPP is the fact that they will pay penalties. As you are probably aware, most mortgage lenders will charge a penalty if the mortgage balance paid out before the end of the current term. In the event that MPP pays off your mortgage balance, they will also pay out any associated penalties, alleviating the stress of having to come up with funds from other sources. They also have options to ‘top-up- existing premiums if you increase your mortgage amount by refinancing, or purchasing a larger home, and their policies are completely portable if you move. As a mortgage brokerage, we are able to provide you with information regarding Manulife’s Mortgage Protection Plan, and put you in touch with them for a free needs analysis. Have questions? Leave them in the comments below – we can help you make sure that your largest investment is covered with Canada’s largest insurance company!